If you’re like most Massachusetts residents, you’re glued to the constant coverage of admitted Boston Marathon bomber Dzhokhar Tsarnaev’s ongoing federal trial. And with good reason; the proceedings are riveting. They also shouldn’t be happening. Tsarnaev’s crimes — the murder of four people and the maiming of over 260 others — are state crimes and should have been tried in Suffolk County Superior Court (the county where the bombing occurred) or its neighboring Middlesex court (where MIT police officer Sean Collier was murdered). If the jury pool was found unduly biased, the venue could easily have been transferred out to Western Massachusetts. Under our federalist system, criminal justice is supposed to be administered by individual states for the crimes committed inside their borders. Murder, specifically, is a state matter; it is not an offense over which federal prosecutors and courts typically have jurisdiction. There are several exceptions to this general rule, such as when the crime occurs on federally-owned property or involves the death of a federal official. Outside of these narrow exceptions, in order to attain federal jurisdiction the prosecution must touch upon some federal interest as laid out in the Constitution. In this case, the supposed federal interest should not have trumped Massachusetts’ right to try Tsarnaev in our own courts. While there is no doubt that Tsarnaev perpetrated the Boston Marathon bombings ... a legitimate federal interest is less apparent. What qualifies as a “federal interest” has mushroomed in the years since our Founding Fathers first conceived of divided American governance. Indeed, Title 18 of the United States Code — the part that deals with “Crimes and Criminal Procedure” — contains many thousands of statutes and regulations, each purportedly defining a federal crime. Many of these, particularly the ones that deal with actions inflicting bodily injury or death, overlap with state prohibitions. If you read the fine print of each enumerated violation, it’s clear that lawmakers carefully crafted the language so as to justify federal intrusion into matters otherwise under state purview. For example, one charge against Tsarnaev is that he is guilty of the “Use of a Weapon of Mass Destruction and Conspiracy” (18 U.S.C §2332a). This crime, according to the statute, is federal because of its effect on “interstate or foreign commerce.” While there is no doubt that Tsarnaev perpetrated the Boston Marathon bombings (the defense team admitted as much in its opening statement), a legitimate federal interest is less apparent. Federalism arguments aside, the fact of the matter is that under current interpretations of the United States Code, Tsarnaev can be tried in federal court. But he didn’t have to be. Consider the currently outstanding Middlesex County indictment for the murder of Officer Collier. According to experienced defense lawyers in Massachusetts, simple murder trials in the state Superior Court hover in length around three weeks, with a months-long extravaganza by far the exception. By contrast, Tsarnaev’s trial has already lasted almost three months and will probably (if we count the far more important and likely time-consuming sentencing phase) continue for several more. This is because the federal case against Tsarnaev is unnecessarily convoluted; the indictment alone is 73 pages of strained applications of federal law. Had he been tried in Middlesex or Suffolk, the trial might already be over and Tsarnaev sentenced to life in prison without the possibility of parole, the harshest sentence Massachusetts can impose. But therein lies the problem. The real reason Tsarnaev is being tried in federal court is because U.S. Attorney Carmen Ortiz, and her boss Attorney General Eric Holder, want the surviving Boston Marathon bomber to die. 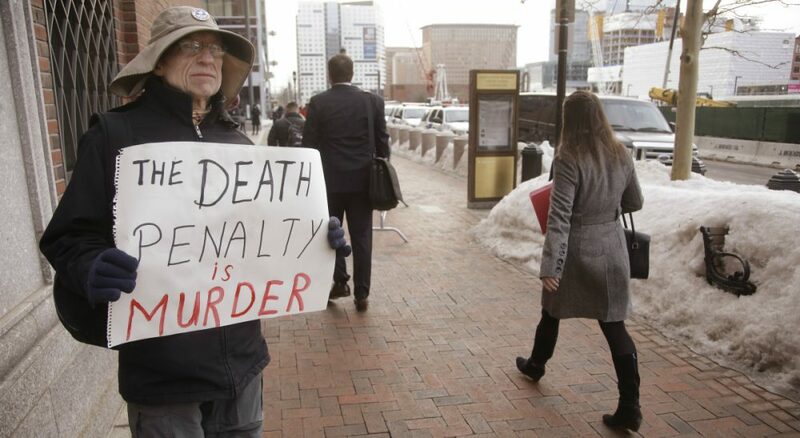 Capital punishment has been outlawed in Massachusetts since 1984, when the state’s Supreme Judicial Court declared the practice unconstitutional in Commonwealth v. Colon-Cruz. 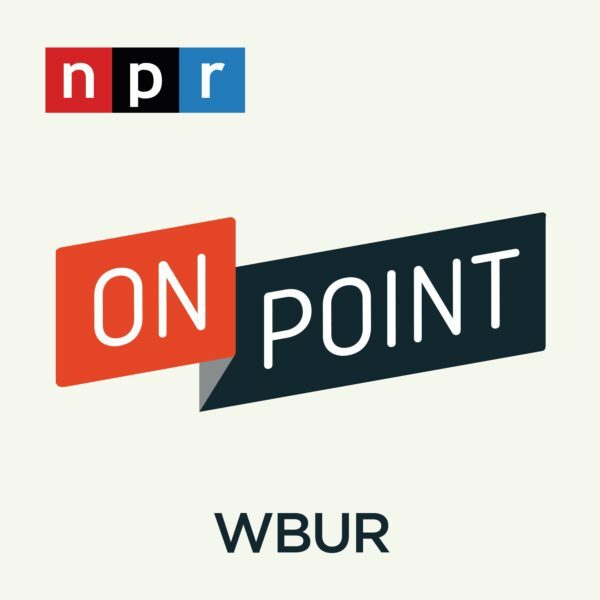 Moreover, a recent WBUR poll showed that an overwhelming majority — 62 percent -- of surveyed Bostonians believe Tsarnaev should not receive the death penalty. The Feds are not out for justice, they’re out for blood — and their zealous pursuit of the death penalty in this case is not only sadistic, but is also inconsistent with the desires of the population most victimized by Tsarnaev’s ghastly actions. It is not so much the “terroristic” aspects of some heinous crimes that ensure defendants are tried in federal court; rather, it’s the availability of the death penalty. An illustrative episode in recent history proves just that. Beltway Snipers John Allen Muhammad and Lee Boyd Malvo certainly terrorized the Washington, D.C. Metropolitan Area in 2002 during a month-long shooting spree that left 10 people dead and three people injured. But they were both tried and found guilty in Virginia state courts. Malvo, who was 17 at the time of his crimes and heavily influenced by the older Muhammad, was sentenced to life in prison without the possibility of parole. Muhammad was sentenced to death. As murder is a chiefly a state crime, state courts were the most appropriate places to try the two shooters; because Virginia had the death penalty, the Feds didn’t press the issue of jurisdiction. [The] zealous pursuit of the death penalty in this case is not only sadistic, but is also inconsistent with the desires of the population most victimized by Tsarnaev’s ghastly actions. It’s tempting to believe that because Dzhokhar Tsarnaev’s crimes on April 15, 2013 were something worse than murder and mayhem, he deserves to have the entire weight of the country’s prosecutorial might bearing down on him during trial. But what does such a view do for the victims and their families? Does it help our community heal? No — all this federal trial is accomplishing is excessively irritating a raw wound while further opening the door for federal intrusion into typically state affairs. If Tsarnaev is sentenced to life in prison without the possibility of parole (the punishment he almost certainly would have received in state court), the trial will have been nothing more than an exercise in federal muscle flexing and perhaps showmanship by Ms. Ortiz’s prosecutors. And if he is sentenced to die, a pernicious truth is revealed: Federal prosecutors and courts today have little regard for the Constitution’s scheme of limited powers allocated to the federal government. The central purpose of this careful division of jurisdiction and allocation of powers is the preservation of liberty. This constitutional scheme, it seems, is only as secure as federal officials are inclined to allow. Samantha Miller co-authored this article. Miller, a recent graduate of Brown University, is Harvey Silverglate’s paralegal assistant.